Washington The US Congress has barred firms receiving government bailout from hiring Indians and other foreign workers through the skilled worker visa (H-1B) programme, if they are replacing American workers. The bar comes even as IT firms in the US and India are demanding an increase in the H-1B visa, which is capped at 65,000 a year now. Indians account for a majority of those with H-1B visa, issued to non-immigrant skilled workers for up to six years. Restricting hiring of H-1B visa holders forms part of American Recovery and Reinvestment Act, widely known as the stimulus bill, that was passed by the Congress on Friday. With thousands of jobs being cut by US companies almost daily over the past few months, there have been widespread apprehensions that these positions could go to low-cost foreign workers or might be outsourced to places like India. 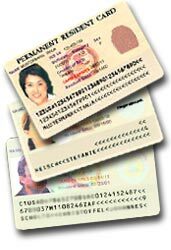 The government data for 2008 shows that about 5.7 lakh Indians were issued H-1B and other non-immigrant visas. Experts believe the Congress' move would certainly impact hiring of H1-B visa holders, thus affecting in a big way the engagement of Indian techies in the US, but might not affect outsourcing of jobs to places like India. About two years ago, the US had cut down the H-1B visa limit to 65,000, from 1,95,000 a year previously. IT firms, both Indian and American, have been asking to raise the cap to allow the companies in the US greater access to the growing talent pool across the world. Senator Bernie Sanders, who along with another Senator Charles Grassley had moved the proposal for such restrictions, said that about a dozen banks which are getting over USD 150 billion as the bailout money have sought visas for over 21,800 foreign workers in past six years to replace sacked Americans. These banks have announced at least one lakh job cuts in the recent months, Sanders noted. Earlier this month, India-born international economist Jagdish Bhagwati also argued that the provision to restrict hiring of H-1B visaholders would deprive the US of the best global talent which comes in the form of highly trained and talented people. "In terms of broader considerations like the people who are coming in on H-1B visas -- they're frequently highly trained and talented people and a lot of our progress and prosperity depend on having such people," Bhagwati, Professor of Economics at the Columbia University had said. The American Immigration Lawyers Association, which also has been opposing the measure, described the Congress approval as "disappointing" and argued that this would prove to be counterproductive as it prevents the US companies to hire the best available global talent. 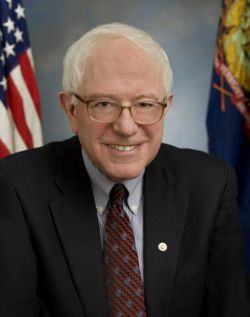 The amended stimulus bill would require the banks receiving the bailout money to hire only Americans for two years unless they could prove they were not replacing laid-off Americans with guest workers, Sanders had said. "With thousands of financial services workers unemployed, it is absurd for banks to claim they can't find qualified American workers," Sanders said. "While we are suffering through the worst economic crisis since the Great Depression, the very least we can do is to make sure that banks receiving a taxpayer bailout are not allowed to import cheaper labour from overseas while they are throwing American workers out on the street," he said. In addition to banks, the Sanders-Grassley provision also restricts hiring of guest workers at any other firm that receives funds under the Troubled Asset Relief Programme or from emergency loans made by the Federal Reserve.